More and more people are becoming unhappy and disullisoned with their lives ... and in tandem with longterm unhappiness, depression seems to be on the increase year upon year too. Is there a link? ...and if so, how do we reverse this cycle of unhappiness depression? This page was created in light of International Day of Happiness that gets celebrated each year on 20 March. When I think of happiness the next 4 songs always spring to my mind. Which songs, movies, poems or literature inspires you or reminds you of what happiness means. We get messages throughout our lives about how our wrong actions can cause unhappiness and depression not only for ourselves but also affect other people or may even cause emotional turmoil, death or devistation for others, precious animals and our home, planet earth and the oceans. I wish (I can wish!) that everyone in the world could start their day doing a mindfulness meditation or practicing a subtle body exercise like tai chi or yoga every morning so they feel absolutely connected to everyone around them including the universe with full awareness - before they decide to take any detrimental actions. And then I hear Michael Jackson telling me that, that change has to start with me if I want to make the world a better place. Which can feel that I am back at square one, and that nothing will change if just I do it, but it is a start. It would be just wonderful if everyone could simultaneously become enlightened about the hurt that we are causing ourselves, the animals on our planet and our planet Earth; for us all to Change the World by our examples and not our opinions. Self Help tips to feel happier. Helping yourself to overcome anxiety caused by deep unhappiness, depression and low mood have a look at the next pointers that were inspired by the charity Action for Happiness on International Happiness Day, 20 March 2018. The following tips have been found to make most people happy and in turn get rid of their unhappiness depression. Also look at our anxiety self help﻿ tips for more ideas. If you want to feel good, do good. And that does not always mean to donate or give money. It means to do something for other people. Giving back to others or giving back to the community through volunteering or offering your services for the good of it without expecting something back. Making connections with people bring happiness. We are all living more and more in isolation where many people often do not see other people for days. When was the last time you smiled or said good morning walking down the street? We need privacy to be fully functioning humans, but we also need a connection with others as, after all we are social animals who thrive on giving attention to others as well as receiving attention from others. We are always in relationship with ourselves, everybody else and everything in our environment throughout our time on earth ... from our past, our present and our future. Be kind to yourself and others. Like my mother always says: "Friendliness costs nothing." Exercising gets you out and about in the fresh air which is great. But it not only protect against heart disease and diabetes, it improves your sleep and release its own “feel-good” hormones called endorphins which relieves feelings of unhappiness depression and low mood. Trying out new things or life-long learning keep our minds stretched and it also give us meaning and a purpose. You are never too old to learn a new hobby or join an evening class. If you always drive to work the same way or go to shop in the same shops in town or eat at the same restaurants or cafes, you might miss out on experiences. If you always just talk to the same people you miss out on making a connection with others. Becoming stuck in a rut is easy as it brings familiarity and we know what we are getting. But what if there is something more enjoyable next door? or in the next town? What have you got to lose to try out other experiences? When we set goals it gives us focused direction and inspiration to make our changes. We can look forward to things changing. Build mini goals leading up to the main goal and reward yourself each time you move a step closer to your main goal. Goal setting give us a feeling a control and autonomy to do things that we want, the way we want to. Being autonomous is an emotional need installed in all humans. Still wondering, just look at how autonomous babies are to make sure they get fed and loved. Goal setting will also ensure you get a sense of achievement when you reach your goal which in turn will give you self respect and status to know your strength. Are you a glass empty or glass full person? See life as it is, but be on the look-out for what is good and then focus on those good bits. Every coin has two sides, just like every one of us have something good in us. Instead of always looking for the negative, try to find something good. Feeling an emotional connection with at least one person where you can be physically and emotionally “warts and all” will give you freedom. Before we can get acceptance we often go through different emotions. Emotional unhappiness usually comes from some sort of a loss, whether is a loved one that we miss, something within ourselves or our looks that we do not have but think we should have, an injury that influenced our health or ability or something or somebody in our environment that caused us to lose possessions or affect our confidence, esteem or safety which can result in depression or anxiety. 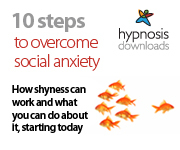 With these acts outside our control we can often become sad, anxious, panicky or angry. We can even feel guilty for having fun if something bad had happened or that we could have or should have done more to stop bad things from happening. We even go as far as to bargain with a god-like entity to make changes on our behalf. Part of getting acceptance is to go through these various stages – with no time limit attached to it - until we have clarity and are emotionally ready to be able to accept ourselves for who we are or what happened to us. The difference between people is what makes us all special. We get meaning by being stretched physically and mentally, but mostly we get meaning by belonging to a group of people with similar interest as us or to the community as a whole. To go one step further we all want to belong spiritually to the universe. Anybody who has ever practiced subtle body exercises like tai chi, martial arts or yoga or singing in a choir together will recognise that shared feeling of transpersonal link with everyone around them. It is something nobody can explain or verbalise; it is something that you have to feel like a warm sensation inside your heart - to feel a bond. What helps your unhappiness depression or low moods to get better? What do you do to make yourself feel happier to overcome unhappiness depression? Long-term unhappiness depression can be changed. Find out 10 things you can do to feel happy right now.